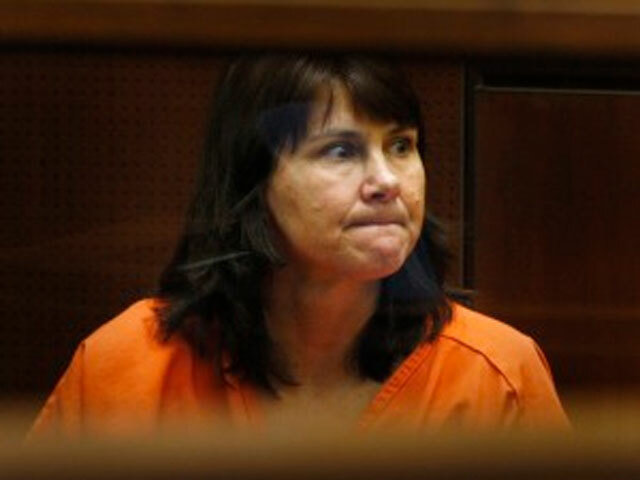 (CBS/AP) - LOS ANGELES - The former Los Angeles police detective convicted of murdering her ex-lover's wife in 1986 was sentenced Friday to 27 years to life in prison. Watch the 48 Hours episode about the Stephanie Lazarus case: "One of Their Own"
Stephanie Lazarus, 52, was found guilty in March of killing Sherri Rasmussen, who was bludgeoned and shot to death in the condo she shared with her husband of three months, John Ruetten. Superior Court Judge Robert Perry gave Lazarus a term of 25 years to life for first-degree murder and an additional two years for personal use of a firearm. He said Lazarus would be credited with 1,000 days for good behavior and time already served. Her defense team said they will appeal the conviction. During the trial, prosecutors claimed Lazarus was consumed with jealousy when her former lover Ruetten decided to marry Rasmussen. Defense attorney Mark Overland, however, wrote in court documents that Lazarus had not initiated contact with Ruetten after the murder, and that there was no evidence presented at trial that showed Lazarus knew where Ruetten and Rasmussen lived or that she knew their phone number. The case hinged on a single piece of evidence - DNA from a bite mark prosecutors say belonged to Lazarus which was found on Rasmussen's arm. Defense attorneys argued the DNA evidence was corrupted over the years and could not be considered reliable evidence. Lazarus was not a suspect in 1986 because detectives believed two robbers who had attacked another woman in the area were to blame for Rasmussen's death. No suspects were found and the case went cold for years, until May 2009, when undercover officers followed Lazarus and obtained a sample of her saliva to compare with DNA left at the original crime scene, police Chief Charlie Beck said at the time. The Rasmussen family has filed a wrongful-death lawsuit against the LAPD and the city of Los Angeles.